The psyched out revenge thriller comes to UK cinemas in October. 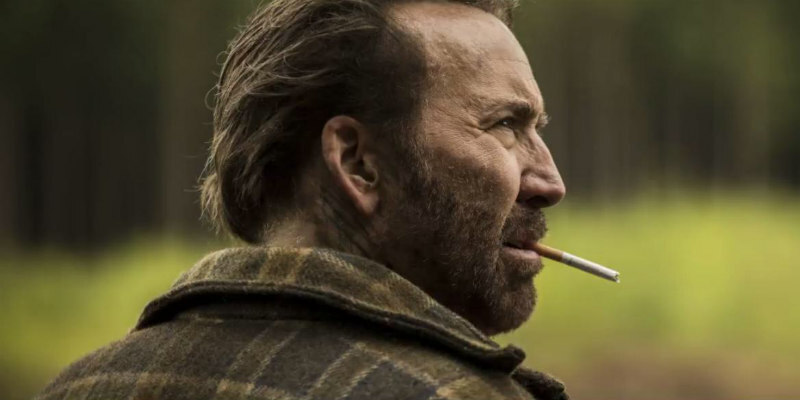 Nicolas Cage has always been drawn to offbeat roles, but Mandy, from director Panos Cosmatos, looks like it may be the weirdest movie the star has yet appeared in. Cage plays a man seeking vengeance against a cult in a psychedelic landscape, with Andrea Riseborough and Linus Roache also starring. 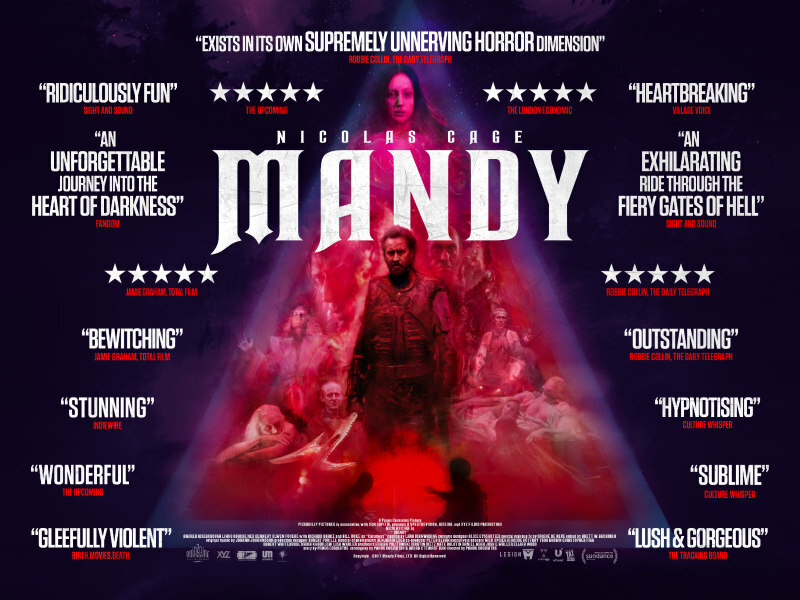 Mandy will have its UK premiere on October 11th at the London Film Festival with Cosmatos in attendance, before going on release the following day. The film will then hit blu-ray, DVD and VOD on October 29th. Check out the new official UK posters below.